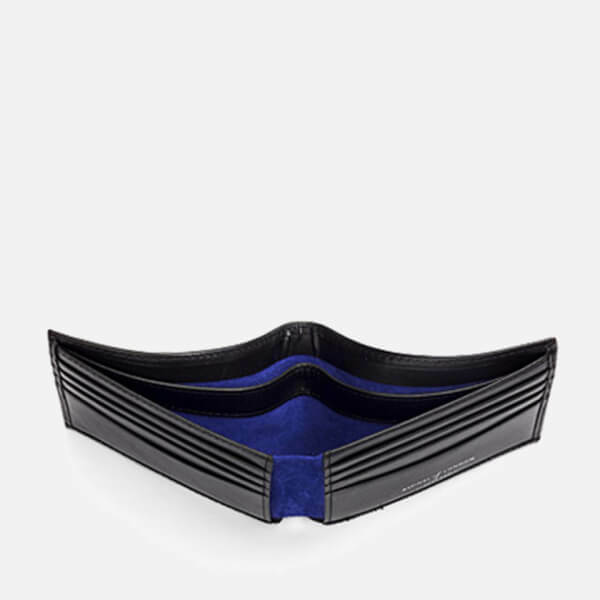 Smooth black leather wallet from artisans in luxury design Aspinal of London. 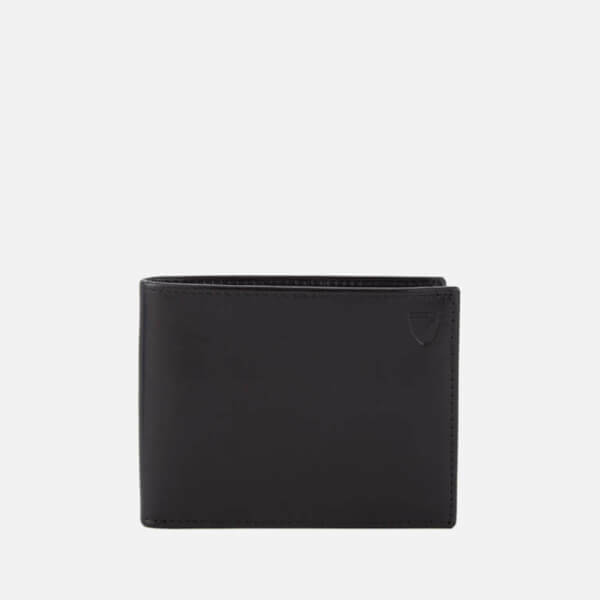 Beautifully handcrafted from the finest smooth black Italian calf leather, the billfold wallet opens to reveal eight credit card slots, two note compartments and two concealed side pockets. 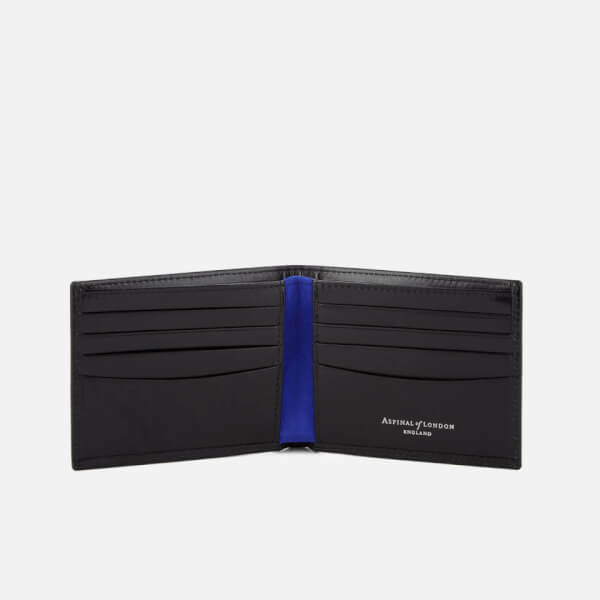 The sleek black design is accentuated with cobalt blue inner lining and the leather wallet is complete with signature silver-tone Aspinal of London branding to the inside and the brand’s emblem embossed to the front top right-hand corner. – L.R. 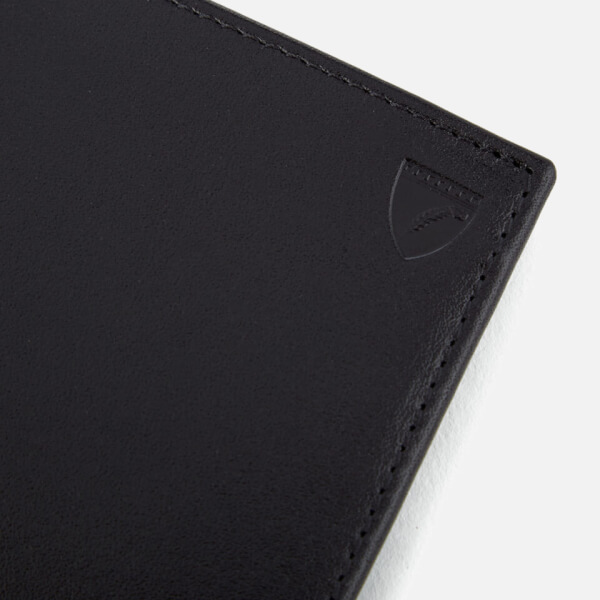 Main: 100% Italian Calf Leather. 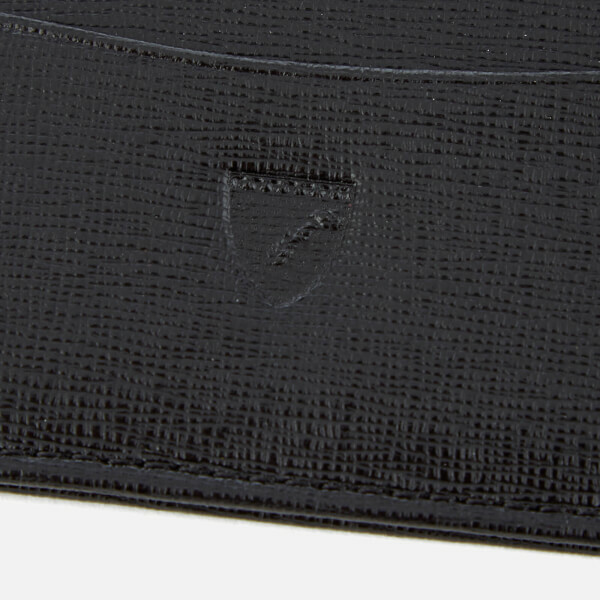 Lining: 100% Suede. 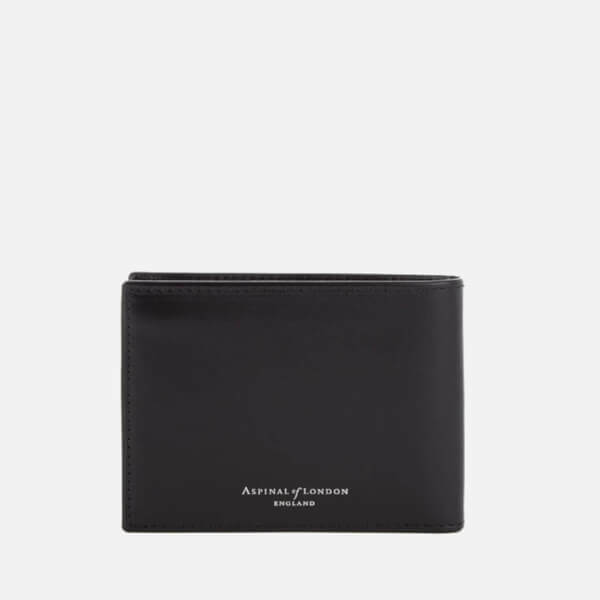 It's a very nice gift for my friend. 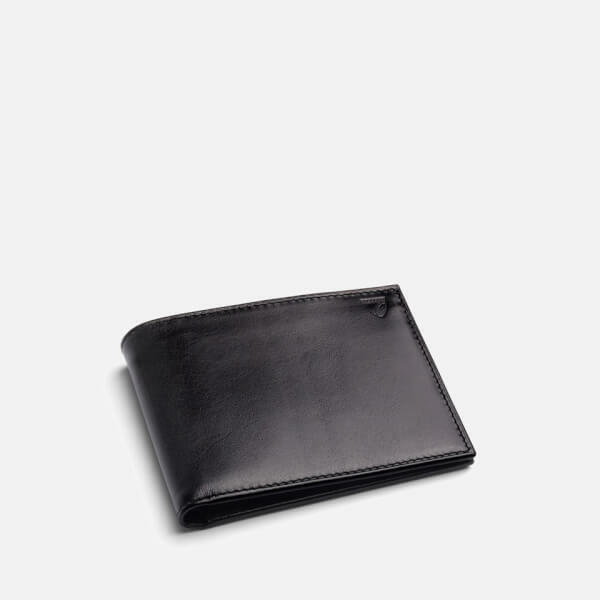 The leather quality was good, that's exactly what I want.